Nationally, the median compensatory award for leg fractures is $141,847 according to Jury Verdict Research, a company that provides detailed statistics from jury verdicts. The awards for leg fracture cases vary wildly depending upon the type of accident and the type of leg fracture. 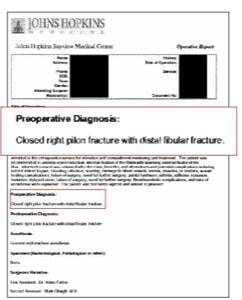 For example, for a fibula or tibia fracture, the median recovery is approximately $85,000. Not surprisingly, that number more than doubles to $167,000 for a femur fracture which is a far more significant injury. Get sample verdicts in broken leg cases here. It is also worth remembering that the median is different from the average. The average femur fracture verdict is $482,273, which is certainly elevated by one verdict in excess of $4 million. The average tibia or fibula fracture is $265,882, aided by a verdict in excess of $4.5 million. For multiple leg fracture (comminuted) cases, the mean and median verdicts rise to $596,618 and $192,762, respectively. The settlement value gap between femur and tibia/fibula fractures makes sense because the femur is the critical bone in the leg for ambulation and mobility. But that rule of femur cases having a higher settlement value is an oversimplification. Our lawyers see a lot of very high-value tibia and fibula cases. In particular, tibia fractures in the lower third of the bone are particularly troubling for adults (a point that has to be clearly made to the insurance adjuster for settlement or the jury at trial). Once you have finished growing, the blood supply to the tibia bone is not very good. It makes healing a challenge and this bone is hard to keep straight as it heals. As you can see, another driving force in terms of settlement value of leg fracture cases is whether it is a simple or comminuted fracture. Typically, you can think of a fracture as being fairly simple and clean break like a stick broken in half. A comminuted fracture is when the bone breaks in more pieces. Staying with the stick metaphor, it is what the stick would look like if you took a hammer to it and broke it into pieces. We see these mostly in pedestrian accident and motorcycle accident cases. So the take-home message is the severity of the fracture, the complications in recovery, and the extent of permanency of the injury is going to the driving force behind the settlement value of these cases. Our law firm handles, among other things, serious injury accidents involving broken or fractured legs in Maryland and throughout the country. If you or a loved one has suffered a serious leg injury as the result of the negligence of someone else, call us at 800-553-8082 or click here for a free Internet consultation. Contact us: Get a lawyer who knows how to handle these cases. Call 1-800-553-8082.